This Online marine (yachting, sailing, shipping) directory, www.azimouthio.com, is under the ownership of OCTO Group. The service and the content (indicatively: data, databases, software, photos, information, logos, etc.) that appear or are made available to visitors of the website are strictly intended for personal use, non-professional one, and they are protected by intellectual property rights as well as by laws regarding trademarks. Any copying, analogue or digital recording and mechanical reproduction, distribution, transmission, downloading, processing, resale, work production or deception of the public regarding the real provider of www.azimouthio.com shall be prohibited. Their display on the website shall not constitute transfer or assignment of the end-user license. Any copying, reproduction, presentation, adaptation, modification, publication, distribution of service and/or content of the website in any way, in whole or in part, whether the content belongs to the company or to a third party, shall be prohibited. In addition, any modification or deletion of copyright, trademarks or photographs that may reside on the website shall be prohibited. 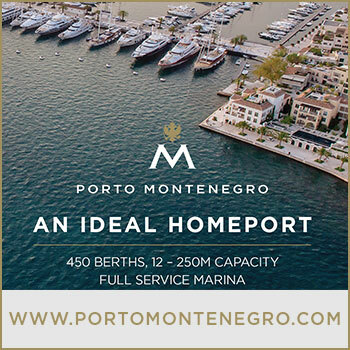 The commercial use of this online marine (yachting, sailing, shipping) directory shall be prohibited. The user bears the sole and absolute responsibility of access to the website and service. The user shall be obliged to use the website for legal purposes and in accordance with the principles of morality. The users of the online marine (yachting, sailing, shipping) directory www.azimouthio.com acknowledge and accept that they shall not use the website to send, publish, e-mail or otherwise transmit any content that is unlawful, harmful, threatening, abusive, harassing, libelous, defamatory, vulgar, obscene, libelous, violates the privacy of another person, reveals empathy or manifests racial, ethnic or other discrimination, may cause harm to minors in any way, must not be transmitted in accordance with the legislation or the contractual or management relations (such as inside information, proprietary and confidential information obtained or disclosed as part of labor relations or protected by confidentiality agreements) infringes any patent, trademark, trade secret, copyright or other proprietary rights of third parties, contains software viruses or any other codes , files or programs designed to interrupt, damage, destroy or inhibit the operation of any computer software or hardware, intentionally or unintentionally contravenes the existing Greek, Communal and Worldwide legislation and its provisions, may harass third parties in any way and finally any content used to collect or store the users’ personal data. The content and service are provided “as it stands”. The company assumes no responsibility for the availability, fullness, validity, completeness of the information. The company assumes no responsibility for decisions made by users and relied on information contained on this website or is available through it. Each user is solely responsible for the protection of their personal hardware and software equipment from viruses. The company shall not make any guarantees that the service will be available at any time without interruptions and that it will operate without errors and disruptions. Due to technical conditions, which are not affected by the company, any interruptions may occur, particularly in the event of unavailability of the internet or the website as well as in the event of a temporary disruption of service. This occurs when maintenance and updating processes apply. The user declares to comply with such measures, which take place beyond the regular working hours as far as possible and are reported in due time along with the relative negative effects to a reasonable extent. Such a temporary unavailability of service shall not constitute a defect. The company shall not be liable for any damage suffered by the user due to the use or non-availability of service and information of this website. Users can contact the company via the number +30 210 4227300 or by sending an e-mail at azimouthio@azimouthio-yachting-info.com or a fax at +30 210 4227300. Through the above modes of communication the user can also verify their personal data maintained by the company in its information systems, request correction, change or deletion of them. In case the user wishes to be deleted from the database kept by the company, they should send a signed statement of withdrawal from the information system of the company by sending a fax at +30 210 4227300 or an email at azimouthio@azimouthio-yachting-info.com. In any other case that the company does not receive the signed statement of withdrawal from the information system it shall retain the right to maintain the personal data of users in the context of service provision. The online marine (yachting, sailing, shipping) directory www.azimouthio-yachting-info.com assumes no responsibility for the content of websites of third parties. The online marine (yachting, sailing, shipping) directory www.azimouthio.com has particularly attempted to ensure that information contained therein is accurate at the time of publication. The online marine (yachting, sailing, shipping) directory www.azimouthio.com has chosen the headings of categories to clearly describe the scope of services or goods. This does not mean that the scope of enterprises registered in each category or the information provided in their entries are authorized or legalized by the headings of categories and the responsibility for the information lies with the enterprises themselves. The online marine (yachting, sailing, shipping) directory www.azimouthio.com has made every effort to verify the maps data from the Marinas and where not possible AZIMOUTHIO Yachting Info assumes no responsibility for any inaccuracies, omissions or errors. It has created the Marina Maps section to provide general information only. You acknowledge that it is your responsibility to confirm the correctness of Information of the Directory before using it and you consent not to use it for navigation. The online marine (yachting, sailing, shipping) directory www.azimouthio-yachting-info.com assumes no responsibility for any incidental and consequential loss of visitors derived from the use of website or information contained therein. All free directory entries are provided at the sole discretion of the online marine (yachting, sailing, shipping) directory www.azimouthio.com. The user agrees to constantly provide true and accurate information as long as they provide their personal data voluntarily. The user is solely responsible for the content that they provide or transmit through the services of www.azimouthio.com. Visiting the online marine (yachting, sailing, shipping) directory www.azimouthio.com entails the visitors’ unconditional acceptance of the above terms. 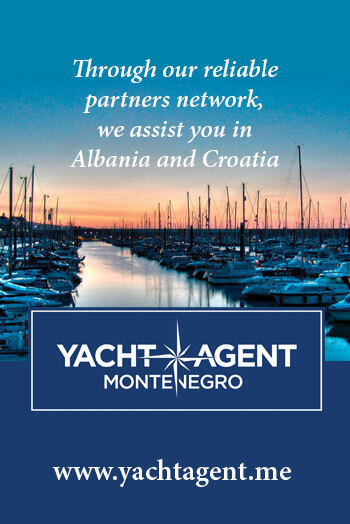 Azimouthio Yachting Info App, is under the ownership of OCTO Group. The service and the content (indicatively: data, databases, software, photos, information, logos, etc.) that appear or are made available to visitors of Azimouthio Yachting Info App are strictly intended for personal use, non-professional one, and they are protected by intellectual property rights as well as by laws regarding trademarks. Any copying, analogue or digital recording and mechanical reproduction, distribution, transmission, downloading, processing, resale, work production or deception of the public regarding the real provider of Azimouthio Yachting Info App shall be prohibited. Their display on Azimouthio Yachting Info App shall not constitute transfer or assignment of the end-user license. Any copying, reproduction, presentation, adaptation, modification, publication, distribution of service and/or content of Azimouthio Yachting Info App in any way, in whole or in part, whether the content belongs to the company or to a third party, shall be prohibited. In addition, any modification or deletion of copyright, trademarks or photographs that may reside on Azimouthio Yachting Info App shall be prohibited. The commercial use of Azimouthio Yachting Info App shall be prohibited. The user bears the sole and absolute responsibility of access to Azimouthio Yachting Info App and service. The user shall be obliged to use Azimouthio Yachting Info App for legal purposes and in accordance with the principles of morality. The users of Azimouthio Yachting Info App acknowledge and accept that they shall not use the application to send, publish, e-mail or otherwise transmit any content that is unlawful, harmful, threatening, abusive, harassing, libelous, defamatory, vulgar, obscene, libelous, violates the privacy of another person, reveals empathy or manifests racial, ethnic or other discrimination, may cause harm to minors in any way, must not be transmitted in accordance with the legislation or the contractual or management relations (such as inside information, proprietary and confidential information obtained or disclosed as part of labor relations or protected by confidentiality agreements) infringes any patent, trademark, trade secret, copyright or other proprietary rights of third parties, contains software viruses or any other codes , files or programs designed to interrupt, damage, destroy or inhibit the operation of any computer software or hardware, intentionally or unintentionally contravenes the existing Greek, Communal and Worldwide legislation and its provisions, may harass third parties in any way and finally any content used to collect or store the users’ personal data. The company shall not make any guarantees that the service will be available at any time without interruptions and that it will operate without errors and disruptions. Due to technical conditions, which are not affected by the company, any interruptions may occur, particularly in the event of unavailability of the internet or Azimouthio Yachting Info App as well as in the event of a temporary disruption of service. This occurs when maintenance and updating processes apply. The user declares to comply with such measures, which take place beyond the regular working hours as far as possible and are reported in due time along with the relative negative effects to a reasonable extent. Such a temporary unavailability of service shall not constitute a defect. The company shall not be liable for any damage suffered by the user due to the use or non-availability of service and information of this website. Azimouthio Yachting Info App assumes no responsibility for the content of websites of third parties. Azimouthio Yachting Info App has particularly attempted to ensure that information contained therein is accurate at the time of publication. Azimouthio Yachting Info App has chosen the headings of categories to clearly describe the scope of services or goods. This does not mean that the scope of enterprises registered in each category or the information provided in their entries are authorized or legalized by the headings of categories and the responsibility for the information lies with the enterprises themselves. Azimouthio Yachting Info App has made every effort to verify the maps data from the Marinas and where not possible AZIMOUTHIO Yachting Info App assumes no responsibility for any inaccuracies, omissions or errors. 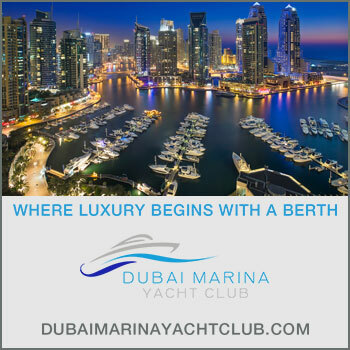 It has created the Marina Maps section to provide general information only. You acknowledge that it is your responsibility to confirm the correctness of Information of Azimouthio Yachting Info App before using it and you consent not to use it for navigation. Azimouthio Yachting Info App assumes no responsibility for any incidental and consequential loss of visitors derived from the use of the application or information contained therein. All free directory entries are provided at the sole discretion of Azimouthio Yachting Info App. The user is solely responsible for the content that they provide or transmit through the services of Azimouthio Yachting Info App. Visiting Azimouthio Yachting Info App entails the visitors’ unconditional acceptance of the above terms.